Spring may not officially be here until March 20, but we have just the trick to convince you that winter is over: Drink a bunch of super-cheap margaritas. The icy lime green cocktails will cancel out any remaining ice outside, and you'll find it hard to believe that old man winter was ever here at all. And lucky for you, the marg drinking opportunity of a lifetime is upon us. 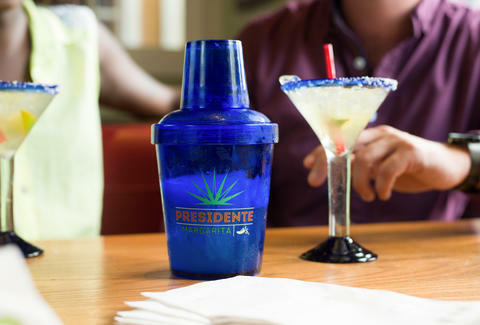 In honor of its 43rd birthday, Chili's is celebrating by giving you $3.13 Presidente Margaritas all day on March 13. That is an extremely cheap, extremely icy, and extremely lime green beverage, and you deserve it for putting up with thundersnow. To be clear, these aren't any old margs. These are Presidente Margaritas. That's Chili's top-tier marg, complete with Sauza Conmemorativo tequila, Patrón Citrónge Premium Orange liqueur, and Presidente brandy. It will be shaken exactly 25 times on the way to your table. It is the top-selling drink all 1,596 Chili's locations. It has a name that's fun to say. So whether you live in a place invaded by snow or not, celebrate the birth of a casual dining chain and the death of winter. You deserve it. James Chrisman is a News Writer at Thrillist who thinks that winter was in our hearts all along. Send news tips to news@thrillist.com and follow him on Twitter @james_chrisman2.